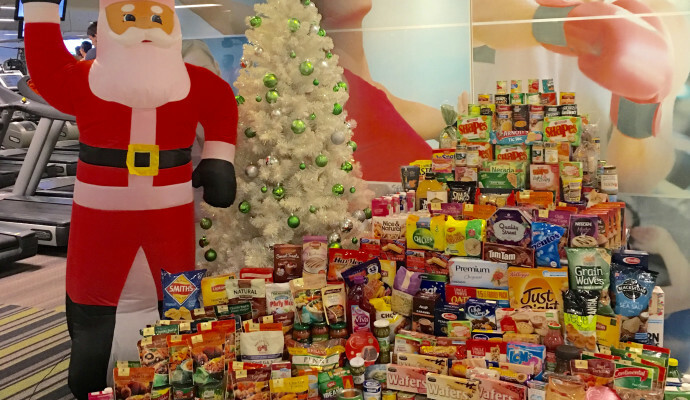 Congratulations to all of our wonderful members and staff who donated non-perishable food items to the 2015 Salvation Army Christmas Food Drive. Each year the Salvo’s ask for donations of food so they can create hampers for families that have fallen on hard times. These hampers are delivered prior to Christmas, with the aim of allowing their recipients the chance to prepare and share Christmas lunch with their loved ones. Over 14 days we managed to collect a mountain of groceries, worth just over $1484! They were delivered to the Salvation Army on the 16 December, ready to be packed and delivered. No doubt there were many families who shared a brighter Christmas because of your generosity; thank you for your support. A special thank you also goes to Jacinta for organising the transport of the groceries to the Salvo’s.